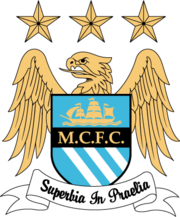 All about the best team in the land and all the world Manchester City!!! : Bolton vs Man City - Sat 12Th Dec 15:00 pm. Not far to travel tomorrow as City take on Bolton, for me this game should be a walk in the park for us. Not a lot to say about this fixture, Bolton are not a good side at all. We should be able to win convincingly tomorrow, I am talking four or five nil. It should be a nice easy game for us where we come strolling home with three points in the bag, I know that sounds arrogant and I am not trying to come across that way but the form book certainly suggests that an easy City win is what should happen. All we have to do is keep playing the same way that we have been in our last couple of games and we will not be troubled by Bolton. Micah Richards, Craig Bellamy and Stephen Ireland are all struggling with knee injuries and may miss out, Wayne Bridge is out for a few weeks with a knee ligament injury. Michael Johnson looks set to be out for the rest of the season after picking up a knee injury in training. Kevin Davies returns from a one match suspension but Joey O'Brien and Sean Davies will both miss out with knee injuries. Gavin McCann and Johan Elmander are carrying knocks but should be available for selection. Possible Man City Line Up: Given, Richards, Toure, Lescott, Sylvinho, Wright-Phillips, de Jong, Barry, Robinho, Tevez, Adebayor. Possible Bolton Line Up: Jaaskelainen, Steinsson, O'Brien, Cahill, Samuel, McCann, Cohen, Gardner, Taylor, Elmander, Davies. My Prediction: Bolton 0 - 3 Man City. Worth A Bet: Robinho scores in a 3 - 0 City win.